ALBION HOUSE is numbers 8 & 9 Britannia Square. In 2012, an elderly lady knocked on our door. Her name was Daphne Roberts and she had been evacuated to Worcester when she was eight years old. She had been billeted at no. 8 along with three other evacuees. She now lives in Kingston-on-Thames, Surrey. She was making her first return visit to Worcester in 70 years in order to show a close friend her “war-time home”. She thinks that only no. 8 was used for evacuees, probably because the lady owner of the house was the billeting officer for Worcester. Daphne has clear recollections of the Square and Worcester during the two years she stayed here. She was sent to the little primary school along Infirmary Walk (now The Academy School of Dance) and remembers the rundown ‘cottages’ in Back Lane South where much of the washing for the ‘big’ houses in the Square was done. She also recalls an elderly gentleman (‘the Colonel’) living at no. 9 and three ‘Ladies’ living near the top of the Square. For the most part, Albion House has been occupied as two separate residences, no. 8 and no. 9, but occasionally as one property. I have been surprised to learn how many occupants the house had at various times (up to 15 boarders when it was a school) and the extremely limited range of occupations its owners have had (education, law, journalism). Daniel Causer was born in Albion House on 1 June 1822 to William Causer and his wife, Elizabeth (nee Gittins). William and Elizabeth moved to no. 13 Britannia Square where they both died in 1861. William left effects to the value of £1,500. Daniel married Phoebe Shaw and they had four children. They moved to Aston, Warwickshire where Daniel died in 1911. By 1841, Lettitia Imby (aged 45) was running a school for girls in the property, with an assistant, Lucy Westcombe (aged 30). They had 29 pupils between the ages of 12 and 15 and employed two servants. Lucy Westcombe never married and continued to provide private schooling at a number of other properties around the Square. She died in 1903 aged 92 and left £10,755. Thomas Wates was born in 1813 in St. Pancras. He became a Solicitor and Attorney at Law. At the age of 38, he was living at no. 8 with his wife, Hannah, her aunt Elizabeth and a servant, Jane Callow (aged 20). John Waleot (aged 53) was an Attorney at Law. He lived with his daughter Anne Isobel (aged 22), his son John Charles (aged 13), a cook, Eliza Freburg and a housemaid, Mary Clarke. Charles William Bayliss was also a Solicitor and Attorney at Law. In 1871 he was 26 years old and lived at no. 8 with his wife Emily (aged 28) and two children, Moseley (aged 1+) and Stella (5 months). John and Hannah Sargent (Emily’s aunt and uncle) lived with them. They had two servants, aged 15 and 16. This family did not, however, stay in the property for very long. The D’Egville family had originally settled in Malvern. Louis Harvey D’Egville (the speculative builder) had married Mary Davis. They had nine children. All became actors, dancers or singers. Louis’s brother, William Snr., had married Harriet Day and, by 1873, their son (Louis’s nephew) was running a dance school at Albion House. His full name was William Harvey Herbert D’Egville. The school continued for some years but, by 1881, William Jnr. and his widowed mother, Harriet, had moved to the outskirts of Birmingham. The head of this family was Ann M. Ponting, a lady of independent means. Living with her were her son Theophilus (aged 21), daughter Jessie (aged 19) and son Francis (aged 14). They employed a servant, Kate Hedman. This family had moved to Worcester from Shropshire around 1800. They lived in various residences in the St. Nicholas Ward before settling into Britannia Square sometime between 1881 and 1891. In 1891, the family consisted of Edward Dyke (aged 49), editor, and his wife Emily Sophie (aged 48) as well as their daughter Clara McIntyre (aged 28), son Edward William (aged 25), reporter (later styled ‘journalist’), son Harry Francis (aged 13) and daughter Florence (aged 8). They had one servant, Helen Wimbald aged 23. The Dyke’s eldest daughter, Emily Jane, had already married and left home (see “Miss Colsey 1940). Edward Dyke Senior died on 12 January 1917 and left effects valuing £1925. 2s. 10d to his son Edward William. Although Edward Junior is recorded as living in the property in 1911, its ownership had passed to Clara McIntyre Dyke by 1919. When Clara died in June 1936, no. 8 was lived in by Evelyn Florence Dyke and a friend, Elsie Fanny Phillips, until Evelyn’s death in 1939. 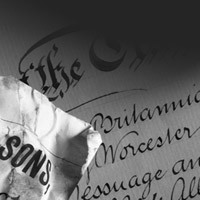 During the war, Worcester became a centre for receiving evacuees from both London and Birmingham. The owner of the property during the war years was Miss Dorothy Rose Colsey. She lived in no. 8 with a companion, Miss Susan Emily Buddle. Dorothy Rose Colsey had been born in Wandsworth on 5 March 1894. She was the daughter of Thomas Colsey (journalist) and his wife Emily Jane (nee Dyke). She was baptised on 6 May 1894 at Holy Trinity Church, Upper Tooting. The 1901 census records Clare McIntyre Dyke as a visitor to the family, along with a servant, Rose Hall. Dorothy lived in London during her formative years. At the age of 17, she was at school and living with her family at Bridgefield Road, Cheam. We can assume that she inherited no. 8 upon the death of her aunt (Evelyn Dyke) in 1940, and she lived in the property until 1964. She died in March 1972, aged 78, in Worcester. Her companion, Susan Emily Buddle, had been born on 18 May 1881 in Weardale. She became a nurse (mainly in private service) and she died in Worcester, aged 94, in 1975. Daphne believes that Miss Colsey may have been a Billeting Officer. She was a remote figure, leaving the care of the children to her companion and ‘dailies’. The children were not allowed to use the main staircase, although they would dare each other to slide down the balustrade. They were ‘received’ into the main front room once a week. On a day to day basis, they had to use the back entrance to the house and could only use the front garden when supervised by an adult. However, they were taken on occasion to ‘tea’ (a formal affair) with three ladies who lived further up the street. We think this may have been the Powell family, who were living at no. 5 (then named “Doria”?). Lillian Helena Powell was a widow. She had been married to the Rev Frederick Powell, originally from Kempsey. He had died in June 1941, leaving an estate valued at £13,263. 12s. 5d. Lillian herself died in August 1945. Doris and Violet Powell lived with their mother at no. 5 Britannia Square. They were both spinsters. Doris has been born in 1895 and died in 1949; Violet had been born in 1897. Their father had a parish in Yorkshire at this time and the family only moved back to Worcestershire upon his retirement. Daphne also remembers the kindness of Miss Colsey’s next door neighbour (no. 9), whom they called ‘the Colonel’. They thought he must be very old as he usually sat in the window on the first floor and would wave to them when they were allowed into the garden. Until 1937, no. 9 was owned by a family called Pearce, who were newspaper publishers and journalists. It was then sold in 1938 to William Lawrence Hawkins. He lived there throughout the war and died in 1952 at the age of 76. William had been born in Dorset in 1877 and became a Medical Officer in the Royal Marines. At some stage he married a lady by the name of Bertha Robertson, who was much younger (born 1889). Bertha was the elder daughter of Thomas and Rosetta Robertson. Thomas had been born in London in 1864. By 1881 (then aged 17), he had joined the Army and was living in barracks at Woolwich. By 1901 he had risen through the ranks to become Captain in the Royal Ordnance Corps. Thomas and Rosetta lived at no. 9 with William and Bertha through the 1940s (although Rosetta died in 1946). It is possible that either William or Thomas was ‘the Colonel’ remembered by Daphne.